Living Area 1801 Sq. ft. 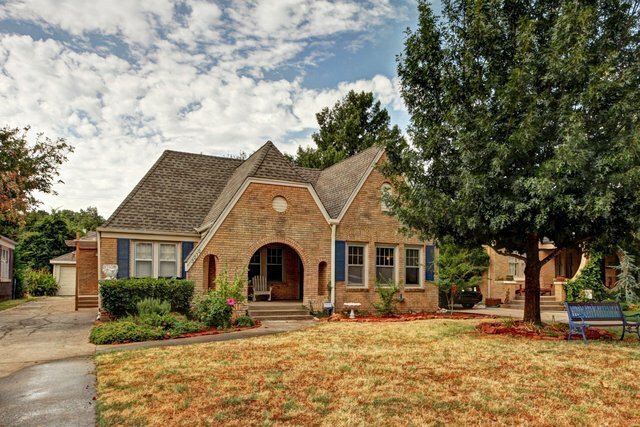 Stunning historic property w/ beautiful updates. Kitchen is complete w/ updated cabinets, granite counter tops, & newer appliances. Living room w/ original barrel ceiling & gas fireplace. Living room is open to Dining room. Hardwood floors through out the house. Original desk area in the hallway. Large hobby room & laundry room w/ great storage. 2 inch wood blinds through out most of the house. Spacious front porch w/ gorgeous arch detailing.